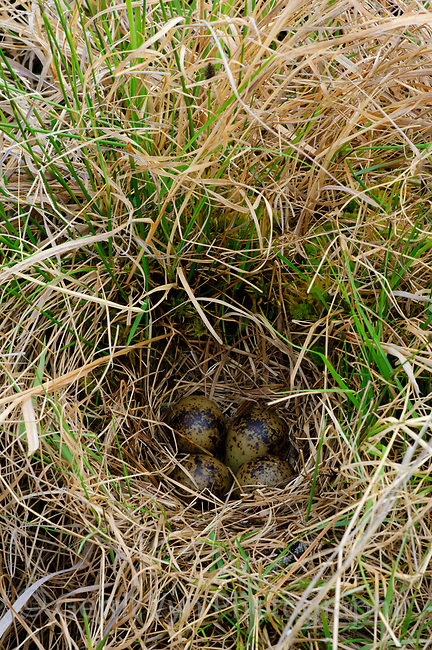 Nest and eggs of Wilson's Snipe (Gallinago delicata) concealed in grass. North Star Borough, Alaska. May.